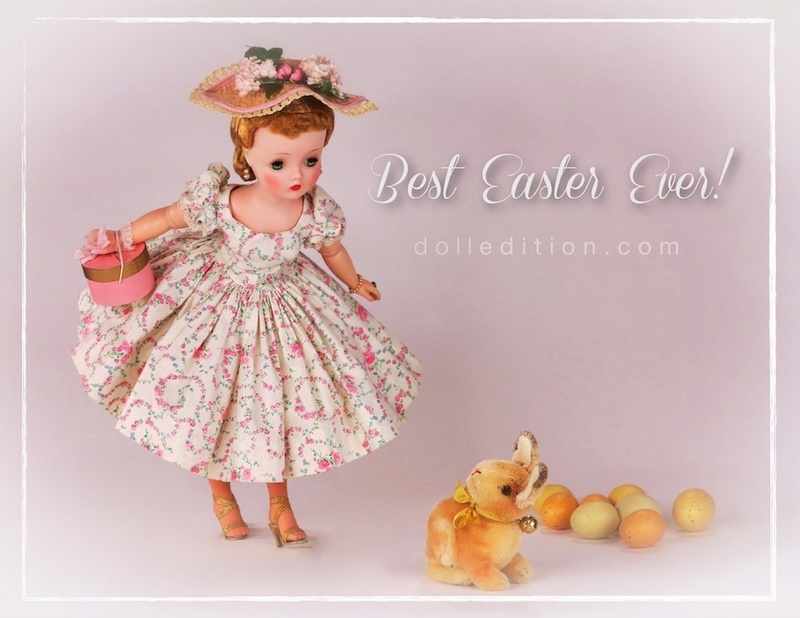 Cissy - Easter shopping in a very rare 1955 dropped waist cotton garland print dress and coordinating hat with a 1950s Steiff bunny. After the element of surprise settles, and they've checked each other out - Easter is here and there are things to do. Cissy does her Easter shopping — this year she's in a very charming dropped waist cotton garland print day dress with puffed sleeves. A very becoming straw hat that coordinates perfectly helps with that Easter flare. Perhaps it was the directions she was given or a wrong turn... Mr. Bunny is as surprised to see Cissy as she is to see him. No matter — a little small talk and the two of them are fast friends, with more in common than you might think. 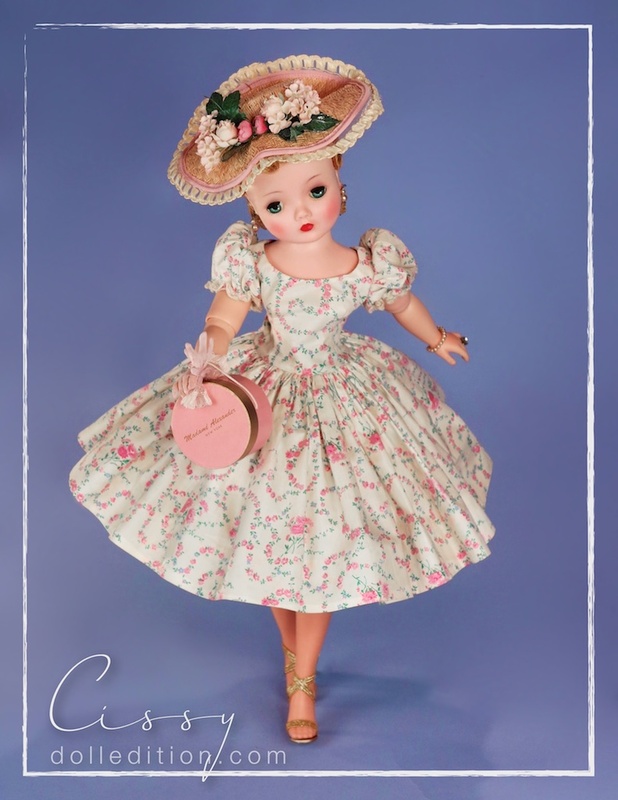 Anyone who's tried to find prints in scale, these small prints used by Madame Alexander for these day dresses sold as extra boxed outfits, are amazing in themselves. Floral prints were a mid-century rage and appeared in fashion, draperies, upholstery and wallcovering. A remarkable hat that captures the print and character of the dress perfectly — completes this very light and airy ensemble.